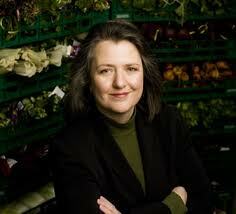 With Kathleen Merrigan's abrupt departure from the USDA early last month, sustainable food advocates and women backers of this power house are left wondering if she was forced to resign as the Deputy Secretary of Agriculture for the USDA, or, if she truly left of her own accord. Merrigan is perhaps most well known for being an outspoken advocate for local and sustainable foods and for creating and managing the Know Your Farmer, Know Your Food campaign. This hallmark program was touted by Tom Philpott of Mother Jones as the "most high-profile acknowledgement [of the government] since the post-war rise of industrial agriculture that alternative food systems exist, matter, and deserve support." It efficiently bundled sustainable food programs under one roof at the USDA and brought a fresh voice to sustainable food programming everywhere. Merrigan not only weathered criticism by Big Ag supporters in the government, despite the fact that these programs receive peanuts in comparison with commodity crop growers subsidy payouts, but she'll be remembered as a strong voice of opposition and for convincing commodity-crop-centric states that the local and regional food movement isn't just a coastal phenomenon. But Merrigan's support of regional and local food systems didn't start with her most recent post, nor as head of USDA's Marketing Services under the Clinton administration. Her involvement goes back for decades. As a faculty member and director of the Agriculture, Food, and Environment program at Tufts University Kathleen made Tufts a leading institution in sustainable agriculture. She also helped write the 1990 Organic Foods Act, a document that worked to ensure the integrity of organic foods when the USDA announced their dangerous organic certification program in 1998. Before that, she was a strong advocate for farmers' markets and local food production, a stance that she maintained throughout her time with both the Clinton and Obama administrations. As a woman of power at the USDA, Merrigan will always be an inspiration for women that aspire to climb into the higher tiers of government. A difficult task since most positions are appointed by male-counterparts that have historically held down such posts. Merrigan also managed to tactfully bring issues and concerns to the USDA table emblematic of a more feminine approach such as her genuine care for communities, for the environment and for future generations. We need more women in the government, like Kathleen, that will re-direct our tax monies and government spending to invest in the types of programs that are necessary for a healthy future. Kathleen will be sorely missed as an advocate and change-maker in our food system. For women, she will always represent the potential of women's leadership to steer the boat even in this historically male-dominated space. As Denise O'Brien said in Farmer Jane, "It's important for women to be involved in decision-making from a family level to the highest levels of government." Kathleen really exemplified the potential of this statement. Upon receipt of the news of her so-called resignation, sustainable food leaders around the country wrote a letter to Merrigan thanking her for her service. The letter, signed by more than 100 food and farm leaders, can be viewed here. While the next appointee has not yet been announced, advocates sincerely hope that her legacy will continue. And back to the original question of this post: did she resign or was she forced to quit? This Farmer Jane believes that the latter is true.